Here are my annual musical reflections on the year now almost past. 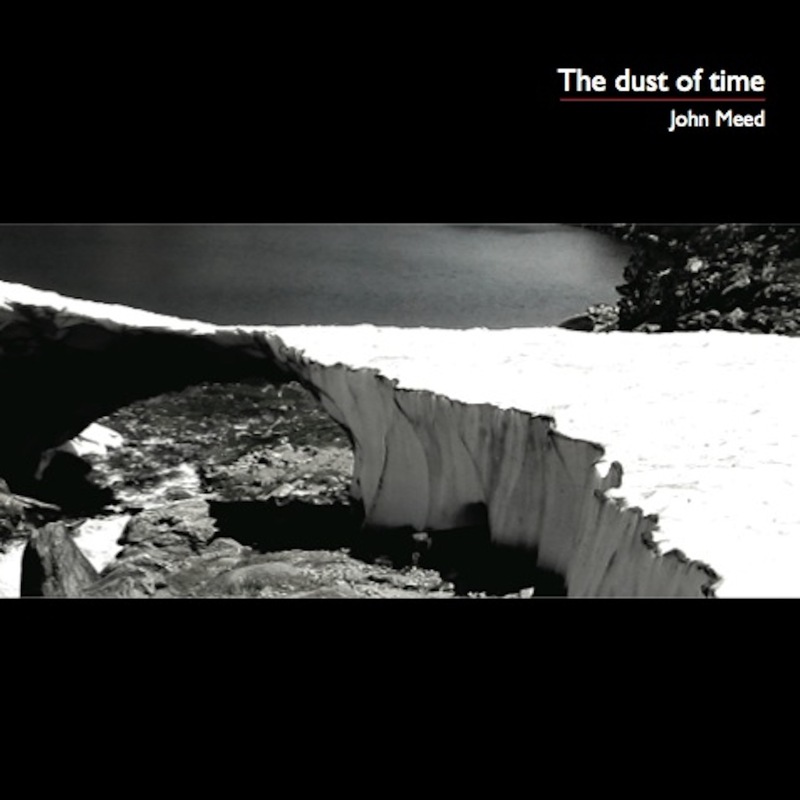 We launched my fifth album, The dust of time, on November 30th in CB2, Cambridge. The first track, Moelfre Hill, has been played both on Celtic Heartbeat on BBC Radio Wales and on BBC Radio Scotland by Iain Anderson who commented ‘rather nice – we liked that’. There was also an article about the song in the Abergele Post. Rue Mouffetard has also been played on several occasions. Richard Penguin, of Future Radio, described it as ‘part Parisien, part Leonard Cohen, part Jacques Brel, part Christy Moore, part you’ while Emily Barker described it as ‘really beautiful’. There’s a video here. At the launch event, The camper van song – a tongue-in-cheek look at successive generations’ love of the VW Camper, went down especially well. 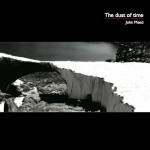 The album features Brian Harvey (bass), Dawn Loombe (accordion), Miguel Moreno (flamenco guitar), Cliff Ward (violin), and Rhys Wilson (guitar and keyboard). Rhys also co-produced the album with me. 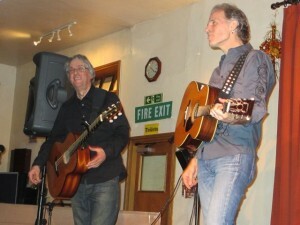 I have really enjoyed playing with the band this year – as well as the album launch we played Cambridge Folk Club in May and as ever the club made us most welcome and provided a lovely audience – there is a video here of Thesalonika. 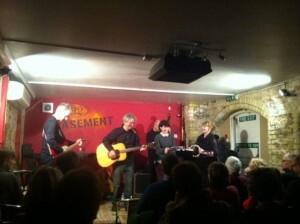 I hope we’ll manage to do a couple more gigs together next year. I also returned twice to Alstonefield in the Peak District where Dave Littlehales has made me one of his regular support acts – this year I played with Al Parish and Brooks Williams (which included Brooks and I singing Waterloo Sunset together!). In June I went back to my previous employers, the National Extension College, to play Second chances, a song I had written for their 50th anniversary. We also managed a trip to Istanbul with friends to see our good friend Leo who has moved back there to live. Leo introduced us to his own Istanbul friends and musical parties ensued, firstly in our own flat on the Istiklal Cadesi, and later in the home of Aysem and Bora – and we recorded the backing vocals for Leo’s Party Machine which also features on the album. We also visited the workshop of Seyda Hacizade, who makes the classic kemençe – a three-stringed instrument, slightly like a violin, but held and bowed differently and where notes are sounded by holding a fingernail against the string, rather than by pressing the string down onto a fretboard. The kemençe produces a very special, melancholic sound that I first encountered in the film The Weeping Meadow. – The National’s new album Trouble will find me – not perhaps quite up to the standard of High Violet but still rather good, especially Fireproof. – Daughter’s debut album If you leave – see for example Still. – Volcano choir’s Repave, for example Comrade. – Agnes Obel’s Aventine which can be streamed at her website. – Our friend Emily Barker’s Dear River – see for example Letters. I’ll leave you in peace for a while, now! Thankyou again for your support through the year. I’d like to wish you a lovely Christmas and all the best for 2014.